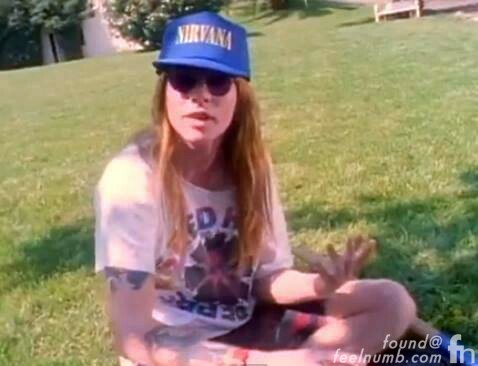 Was Axl Rose actually a fan of Nirvana??? 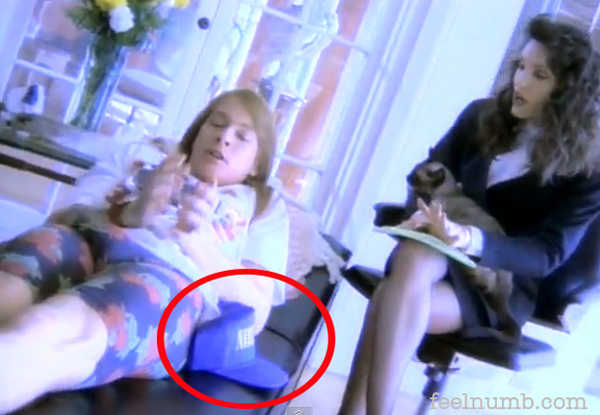 In the music video for the Guns N’ Roses song “Don’t Cry“, a Nirvana baseball hat is visible to the side of Axl’s left leg when he is lying down in the psychiatrist’s office. 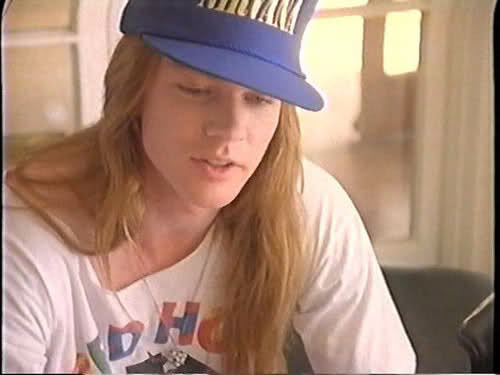 Axl is also seen wearing the hat in an interview that was filmed while making the video. The interview can be seen on the mini-documentary entitled “Guns N’ Roses Don’t Cry: Makin’ F@*!ing Videos“. Note: Axl is also wearing a Red Hot Chili Peppers shirt as well. Apparently, Rose was initially a big fan of Nirvana and even asked the band to play with them on two occasions during GN’R’s “Use Your Illusion” Tour. However, Kurt Cobain loathed Guns N’ Roses and declined the invitation although both bands were signed to Geffen Records. Here’s a clip of Kurt Cobain talking about an incident he had with Axl Rose.